I just love Thinlits with Words. They really dress up a card. 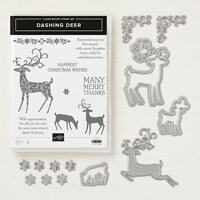 This deer is so precious, it reminds me of a deer stamp we had a few years ago which I loved. 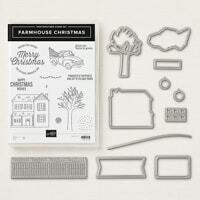 This set just reminds me of my childhood Christmas. No, we didn't have a red truck or a farmhouse (we lived in the city, Brooklyn NY) but I always dreamed of living in a farmhouse like this when I was a child. I love the dimension of the large tree with the Framelit die and come on...the birch trunks and gathering of trees! This is another childhood Christmas memory. 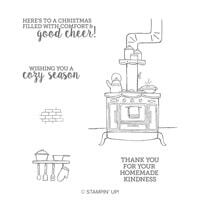 My aunt had a stove like this and I loved the smell of baking apple pies. 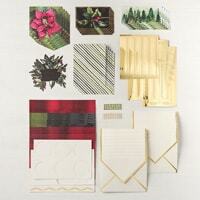 The perfect Project Kit for your holiday cards! It's so in demand that it's currently on back order until mid-October! 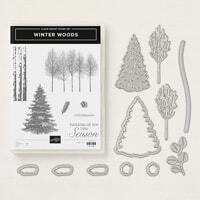 You can't beat the price, 20 card kits for $20. How cute and sweet. I love the sentiment 'Love never melts'! Another great sentiment 'Snowflakes are Unique in the own Beautiful Way' 'and You are Extraordinary'. 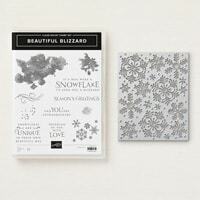 Talk about snowflakes, the Blizard Thinlit Die is amazing with all the snowflakes! 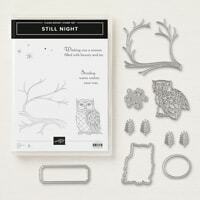 Love the Owl in the stamp set and the Owl from the Thinlit Dies! So sweet and mysterious. 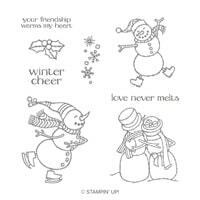 The large filigree stamp is a great background stamp that can be used past the holidays on any card.